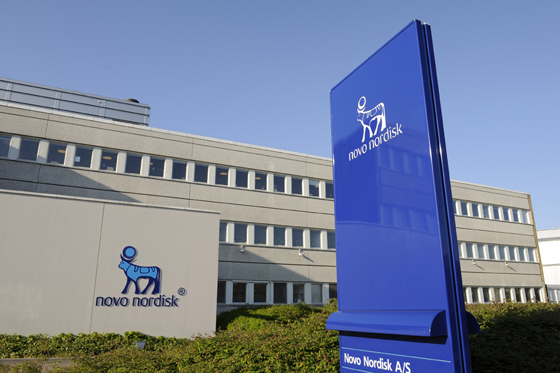 Novo Nordisk has filed its tablet form of diabetes injection Ozempic with the US FDA yesterday, and has used a priority review voucher to hasten the process. Known for now as oral semaglutide, the once-daily glucagon-like peptide-1 (GLP-1) analogue tablet is highly anticipated, as its patient-friendly formulation could see it dominate in the multi-billion GLP-1 class. Novo's submission for oral semaglutide for the treatment of glycaemic control in adults with type 2 diabetes is based on the results from 10 Pioneer clinical trials, which included more than 9,500 adults with type 2 diabetes. In the Pioneer programme, people treated with oral semaglutide achieved greater blood glucose reductions compared to Merck & Co's Januvia (sitagliptin) Boehringer Ingelheim and Eli Lilly's Jardiance (empagliflozin) and Novo's own daily GLP-1 injection Victoza (liraglutide), as well as placebo. The company also released headline results last September from the Pioneer 10 head-to-head trial of oral semaglutide versus its biggest rival, Eli Lilly's Trulicity, which suggested superiority on blood glucose control and weight loss. The injectable version of the drug was first approved in the US in February 2018, and since then it has made good headway, recording revenues of $270m last year. Lilly’s weekly GLP-1 agonist Trulicity brought in almost $3.2bn in sales last year, up an overall 58% on the previous year, and looks set to overtake Novo Nordisk's older daily GLP-1 treatment Victoza as the biggest seller in the category this year. That's why oral semaglutide can't come soon enough to the market for Novo Nordisk. "Achieving glycaemic control and managing cardiovascular risk remains a challenge for many adults living with type 2 diabetes," said Mads Krogsgaard Thomsen, executive vice president and chief science officer of Novo Nordisk. "We are excited about the regulatory filings of the first GLP-1 receptor agonist in a tablet, as we believe oral semaglutide has the potential to further improve the treatment of adults living with type 2 diabetes." The FDA, which will make a decision by September, will review the drug’s efficacy profile that was based on results from the Pioneer clinical trial programme. A second NDA was also submitted for oral semaglutide, for which the Danish drugmaker are seeking approval for a cardiovascular risk reduction indication in adults with type 2 diabetes, but doesn’t expect a decision to be made for 10 months. Novo Nordisk also submitted an sNDA for the same indication for its injectable Ozempic, claiming the drug reduced the risk of major adverse cardiovascular events by 26% versus placebo when added to standard of care.